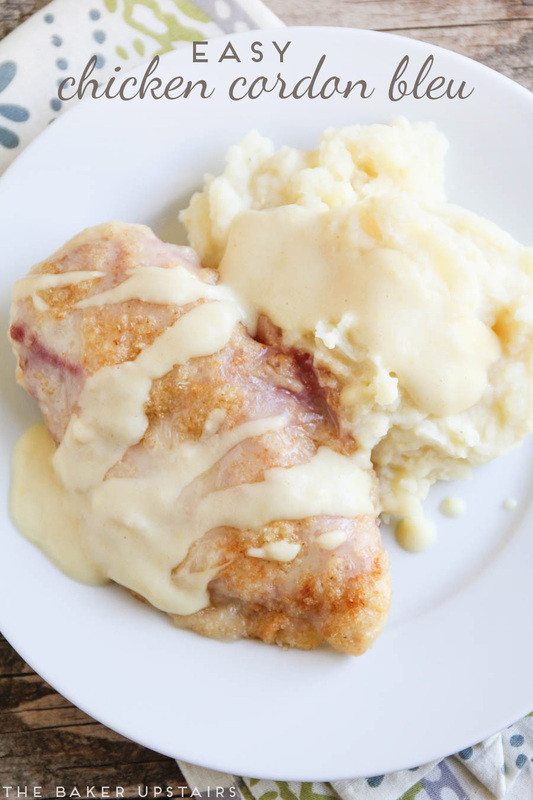 The easiest chicken cordon bleu with delicious dijon parmesan sauce! So tasty and ready in thirty minutes! It's perpetually funny to me that I'm happy to spend hours making a complicated dessert or more than a day making a fancy bread, but when it comes to dinner time, 30-45 minutes is about the max I'm willing to spend. 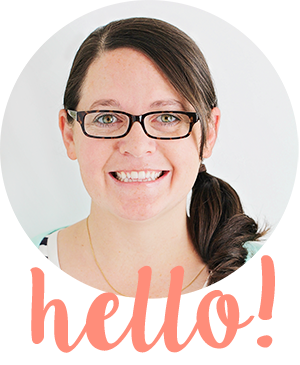 I love eating dinner too, mind you, but I think there are so many easy and delicious meals that are ready in about 30 minutes that it seems like a waste of time to spend more time than that. 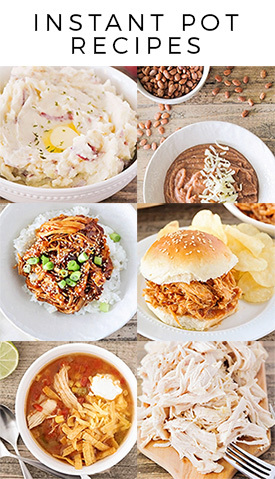 I make an exception for slow cooker meals, of course (because who doesn't love putting in a few minutes of effort in the morning and having a delicious meal waiting for you in the evening?) but otherwise I like everything to be easy peasy. 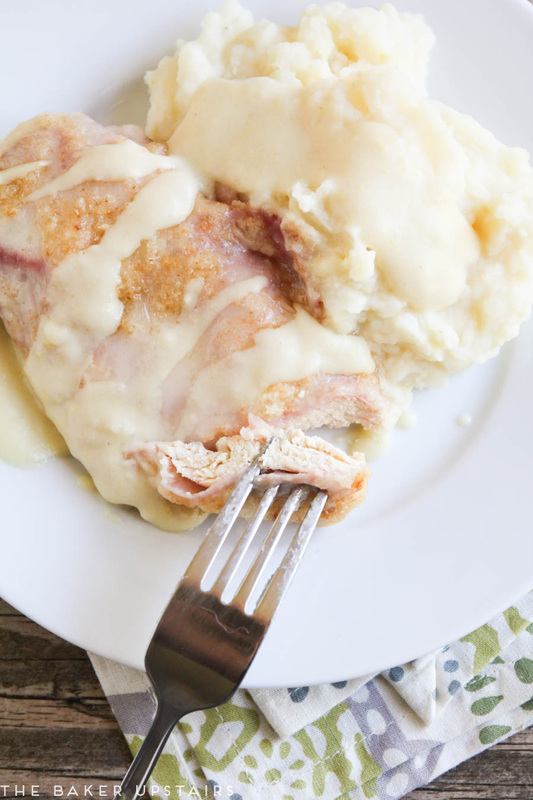 This chicken cordon bleu is exactly that! It takes only a few minutes to make, cooks in about 30 minutes, and tastes fantastic! The dijon parmesan sauce is to die for, and the whole dish is a perfect mix of delicious flavors and textures. We love to serve it with coconut rice on the side, though it's also great with mashed potatoes. Yum! Preheat the oven to 350. Lightly grease a 9 x 13 baking dish. Place the chicken cutlets in the pan. Layer each piece of chicken with two slices of ham and two slices of cheese. Mix the bread crumbs with the butter, and sprinkle the mixture over the top of the chicken. Bake 25-30 minutes, or until the chicken is cooked through and the topping is golden brown. When the chicken has about ten to fifteen minutes left, melt the butter in a large skillet over medium heat. Whisk in the flour to form a paste. Cook 2-3 minutes, or until golden brown. Slowly add the milk, whisking constantly to prevent lumps. Whisk in the chicken base and salt. Continue to cook, whisking frequently, until the mixture has thickened. Remove from heat and add the dijon, Worcestershire, and parmesan. Stir until smooth. Serve over the cooked chicken. I love this post! I'm so with you! I just made a 3 layer cake with custard filling between the layers and a caramel glaze. It was quite a time investment! But dinner......whose got more than 30 minutes to get it done!!! This chicken sounds perfect! Just use a teaspoon of straight bouillon. I always use chicken base and it works well for me, but the original recipe used chicken bouillon, so I'm sure it would work. I haven't found the sauce to be overly flavorful.